Modular design allows for zip-together fluid-tight construction. All components are 2 feet wide and 8 inches tall. 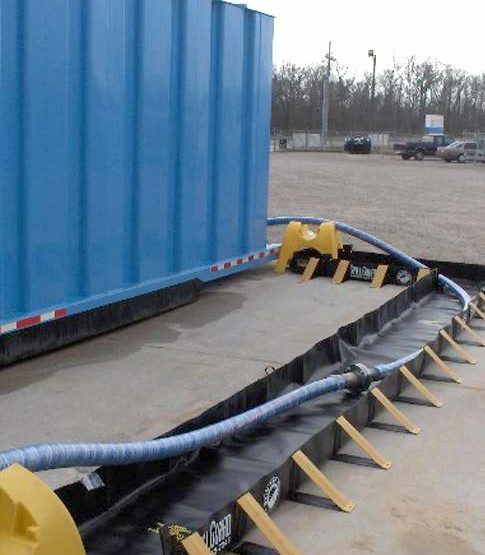 Hose Guard Spillguards are completely modular, allowing for runs, corners, intersections that work best under your hose and pipe configuration to prevent accidental spills or leaks on your sensitive jobsite. Available in Straight runs, Corners, Intersections and end caps. Customizeable to the size and position of your hose requiring additional spill protection.